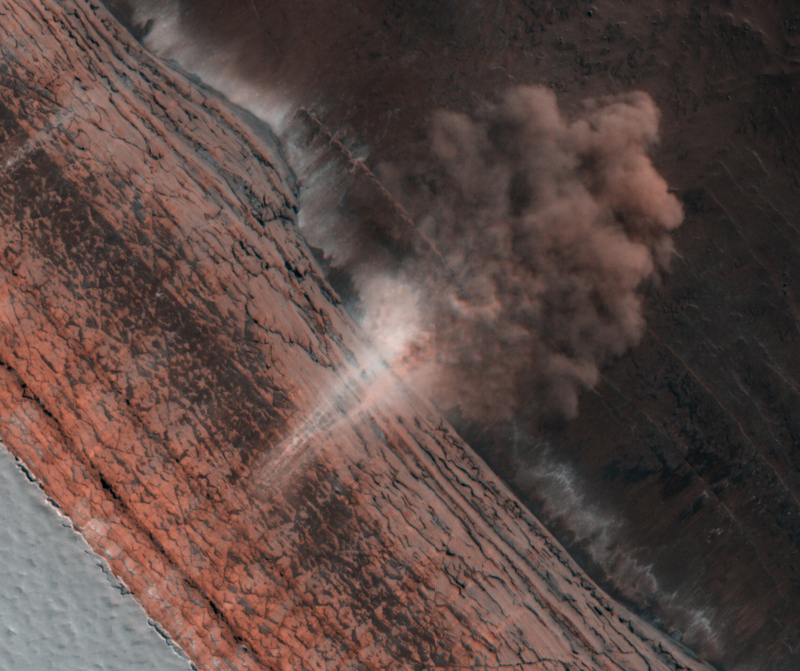 Today's Image of Mars is of an avalanche, which has kicked up a large dust cloud. This image is looking down the scarp, or cliff and shows different layered deposits typical in these features. Scientists are still uncertain as to why these avalanches occur, but they believe they could be the result of temperature changes in the layers of ice or large gusts of wind passing over the rocks. Clicking this image will take you to the original captioned image by HiRISE.